NASA has released the first-ever 360-degree panoramic images of the Sun. Two Solar Terrestrial Relations Observatory satellites, launched in 2006, have gradually been drifting apart -- one in front of the Earth in its orbit, the other lagging behind. 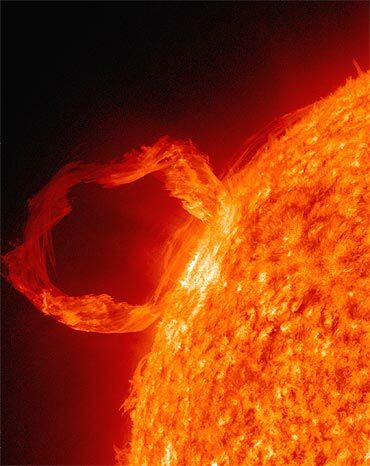 The US space agency on Sunday said the spacecraft had arrived at points that put the Sun directly between them. They have, in fact, moved either side of Sun to establish observing positions. The mission is studying the Sun's great explosive events that hurl billions of tonnes of charged particles at Earth -- events that can disrupt power grids and satellites. 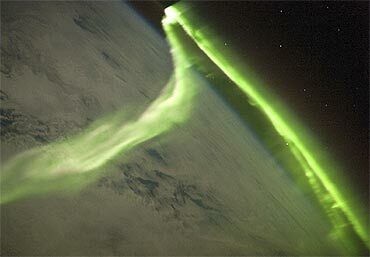 These Coronal Mass Ejections can also be hazardous to astronauts in space. "By being away from the Sun-Earth line, you can look back at the space between the Sun and the Earth and see any of these clouds, these coronal mass ejections that are thrown out of the Sun and are coming our way -- you can even see these things passing over the Earth. Those are the key to what Stereo's all about," Prof Richard Harrison of the Rutherford Appleton Laboratory, UK, an investigator on the project, was quoted by the BBC as saying. The two spacecraft will continue to move further apart, heading toward each other on the opposite side of the Sun from the Earth; this means that the full view provided by the two craft will fade, leaving a growing region behind the Sun -- on the Earth side -- that they do not see. 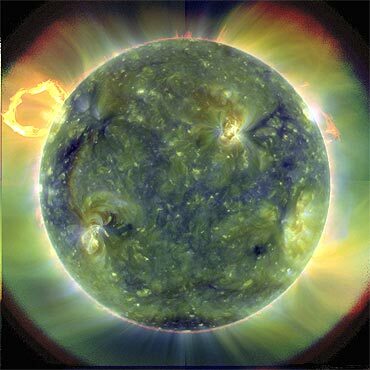 However, the Solar Dynamics Observatory, launched in Earth orbit a year ago, will remain fixed on the Sun providing the missing piece of the puzzle. Achieving an all-round- view of the Sun will be key to understanding what drives the complex processes in the Sun, according to Prof Harrison. 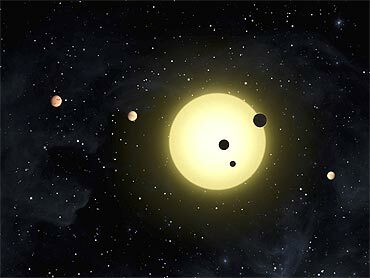 "You really see it with these widely separated regions of the Sun's atmosphere that are connected magnetically, showing activity at the same time, or causing activity somewhere else," he said. 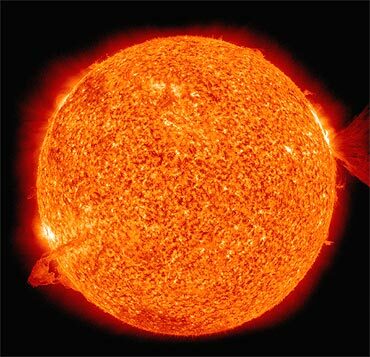 "These things stress to us that you can't really study the Sun in great detail just by looking at a bit of it, any more than you could understand the brain by looking at a bit of it or study the Earth's polar regions by looking at the equator. You need this global view to really piece the jigsaw puzzle together," he said. Earth to get a second Sun in 2011!